The Mississippi Department of Wildlife, Fisheries, and Parks, Mississippi State University, and Wildlife Mississippi will host a symposium on prairie habitats May 14-17, 2012, in Starkville, Mississippi. The symposium is planned for natural resources professionals and scientists in the southern United States (Alabama, Arkansas, Florida, Georgia, Kentucky, Louisiana, Mississippi, North Carolina, Oklahoma, South Carolina, Tennessee, and Texas) who are involved in the ecology, management, and restoration of prairie habitats. Invited speakers will address prairie remnants, conservation, and working grasslands. Scientists and resource professionals will deliver submitted papers on advances in prairie restoration and enhancement. The symposium will conclude with a panel discussion on needs and approaches to guide future prairie restoration and enhancement efforts. An edited volume based on symposium presentations will be produced. Additionally, a technical manual focusing on effective regional prairie restoration techniques, lessons learned, and future needs may be produced. 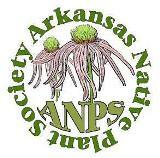 This entry was posted in Field Trips and tagged Arkansas Native Plant Society. Bookmark the permalink.